Handmade leather sandals, leather sandals, women's sandals, men's sandals, mens sandals, womens sandles, mens sandles, California leather shoes, womens sandals and hildrens sandals from Maui, Hawaii. Beach sandals, beach, hawaii beachwear, Women's leather shoes, men'sleather shoes and children leather shoes. Sandal making from leather craftsman. Recycled leather made into bird toys from Maui. Follow Island Sandals on Instagram! BUY your leather sandals by sending a money order, cashier's check, or personal check or you may pay online using your credit card via PayPal. 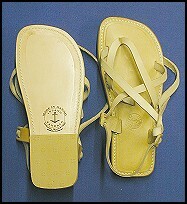 Island Sandals is owned by proprietor and creator Michael Mahnensmith. 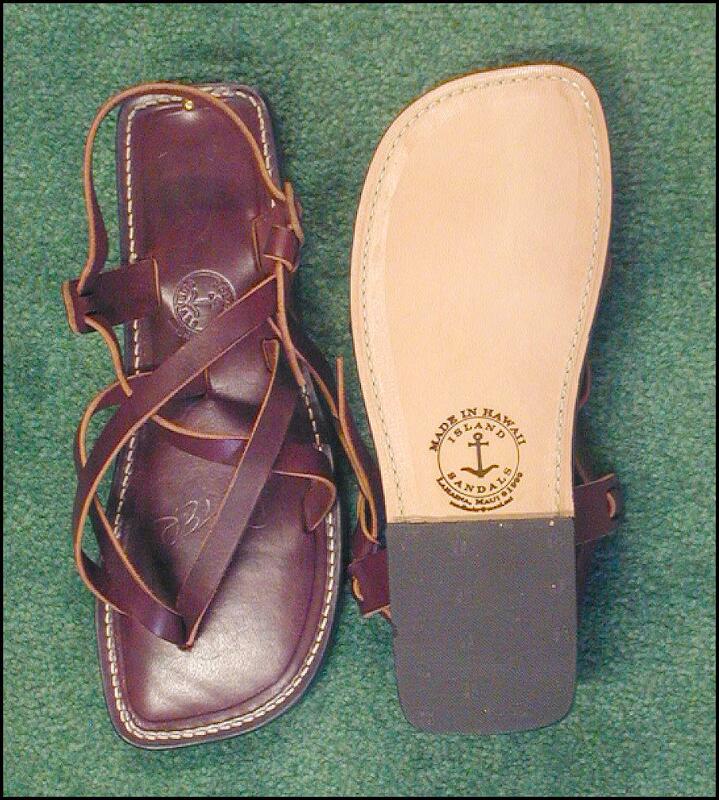 Michael learned his leather sandal making craft in Santa Monica, California from David Webb, who was making sandals for the Greek and Roman movies of the late 1950's and early 1960's. He rediscovered his sandal design from the sandals used 3,000 years ago by the desert warriors of King Solomon in Ethiopia. Allow up to three months for delivery, dependent upon size of your sandal order. Handmade leather sandals that are clever and functional. Island Sandals offers you the comfort and fit offered by no other! 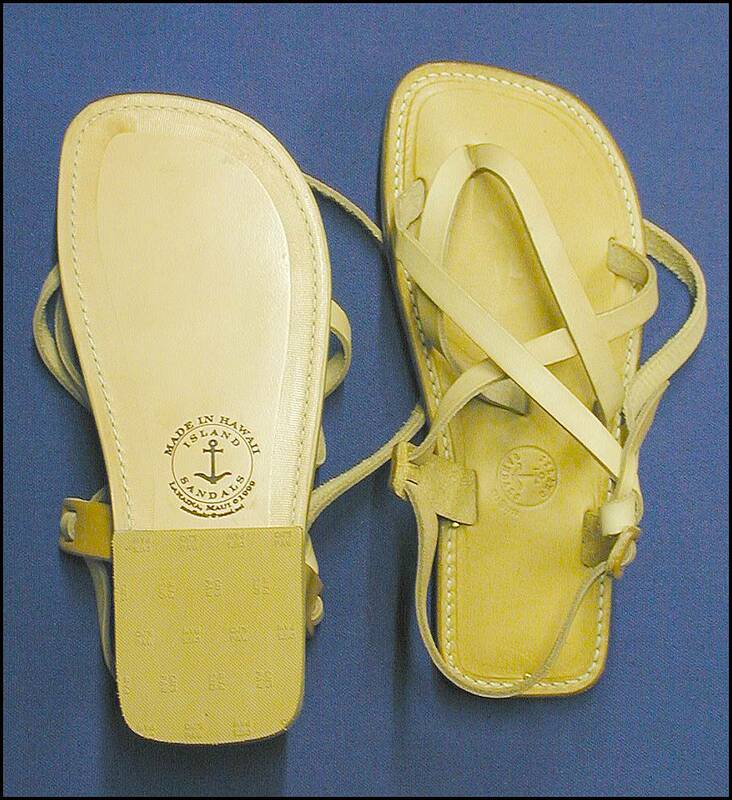 The leather sandals feature a single strap harness, which laces around the big toe, then over and under the foot, and around the heel, providing comfort and good arch support. Do not go in the ocean with your sandals. 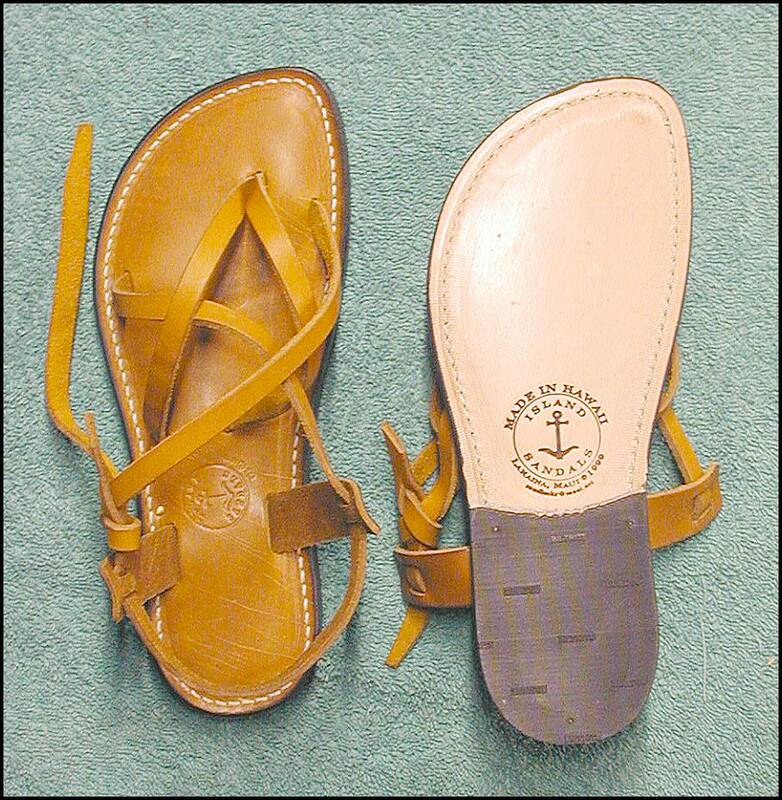 To order ISLAND SANDALS for yourself or others, have a friend trace both feet while standing evenly balanced. 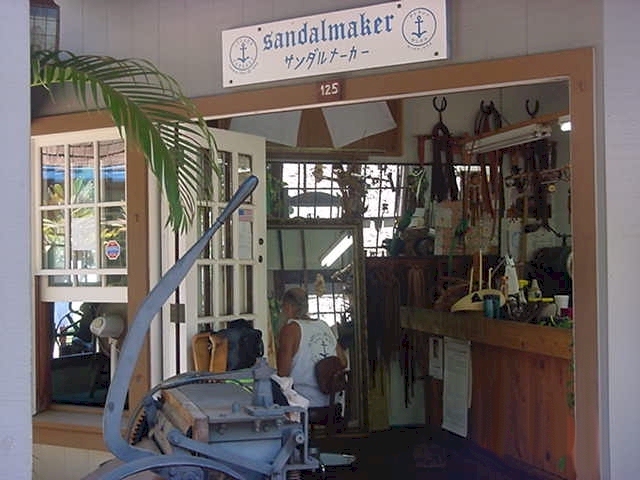 Michael stresses the importance of good footwear while on Maui, so stop in upon your arrival for measurement, or sandals can be ordered by sending a tracing of both feet and big toes (or by having an “authorized agent” do so) along with cashier check or money order to Island Sandals. 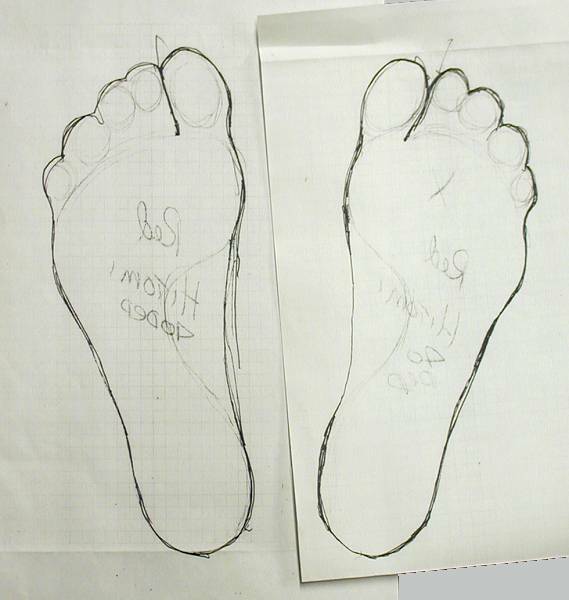 Be sure the pencil is vertical and draw into the big toe space. See the drawing below. Be careful, as the feet are always somewhat different. Mail the tracing of both feet with the big toe space along with the payment (cashiers' check or money order) and the information below. below. 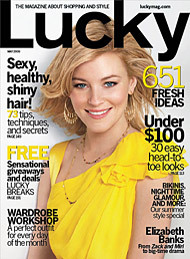 Allow 6-12 weeks for delivery. 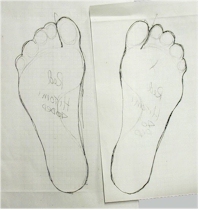 No E-mail or FAX's of traced feet please, they are not accurate enough. 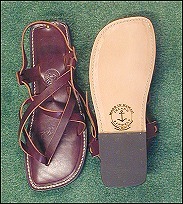 Your leather sandals can be ordered by sending a money order, cashier's check, or personal check. By the time your check clears your sandals should be finished. Or use your credit card by clicking on the Pay Pal button. Please add the price of the sandals with shipping in the total. Men's sizes to 13 are $275. Charges may be higher for orthopedic work or sandals over size 13. Woman's sizes to 11 are $250. Shipping in the U.S.A. is $12. International sea mail is $25.00. This is a well drawn set of feet. Hold the drawing pencil vertical. Michael is the proprietor and owner of Island Sandals, located in Lahaina, Maui. 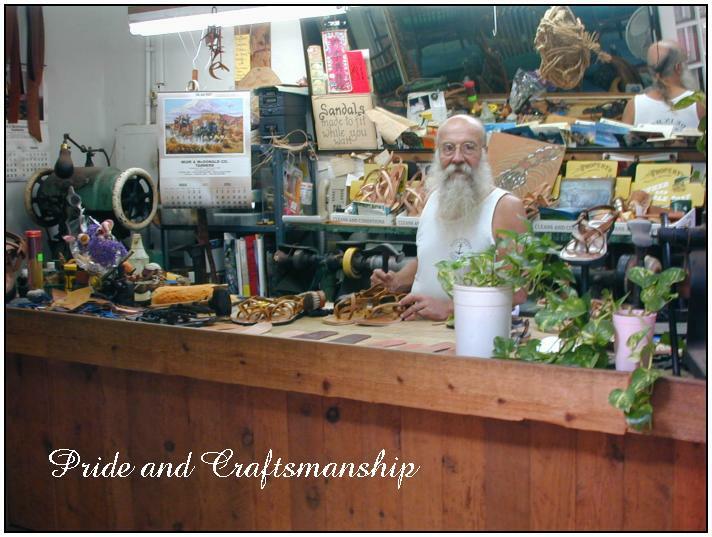 Michael has been handcrafting leather sandals for over twenty years! 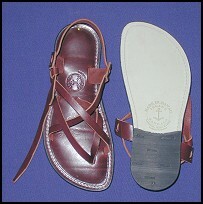 Allow up to three months for delivery, dependent on the size of your sandal order.